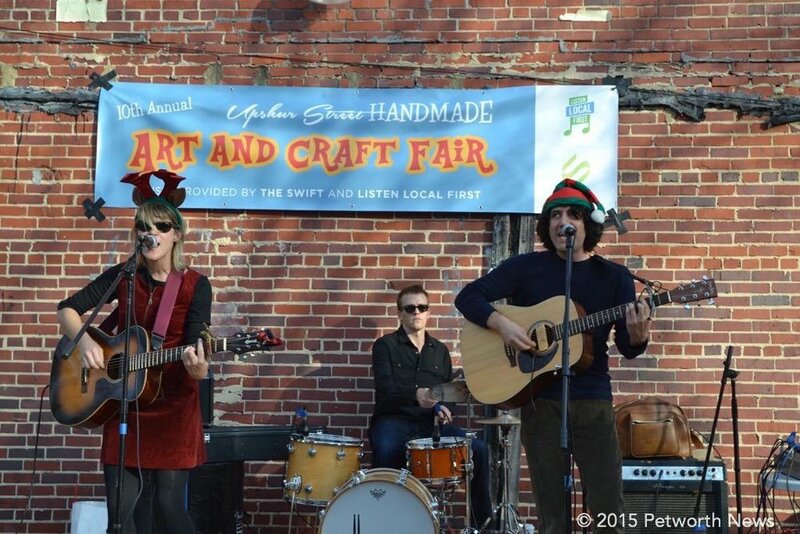 On its 11th year, the Upshur Street Art & Craft Fair returns to the 800 block of Upshur St to offer locally made art, crafts, food and more from 11am to 4pm on December 10th. It's filled with beautiful, hand-made art and other items that make great holiday gifts, or new wonderful things made to warm your home, made by local artists. This year the annual holiday market features 50+ local crafters, artists, and food vendors as well as live music performances from some of DC’s hottest locally-grown bands recruited by Listen Local First. Area businesses and restaurants will be open and vendors will be lining the street selling one-of-a-kind handmade goods. If you get chilly, you can pop inside for more unique items at Willow or Fia's Fabulous Finds. You can also pick up a new read at Upshur Street Books, find a vintage treasure at Bentley's Vintage Furniture & Collectibles or have a bite to eat at Timber Pizza Company, Hank's Cocktail Bar, Petworth Citizen or Slim's Diner if you need a warm-up. Lighthouse Yoga Studio will be hosting their annual open house. And don't forget to head to Annie's Ace Hardware to pick up your Christmas Tree, if that's your thing. Score a great gift for your pet this holiday season at Fido and Kitty's World. The food will be in the parking lot behind Petworth Citizen along with the music line-up! The Upshur Street Art & Craft Fair began 11 years ago as indoor market organized by Kera Carpenter owner of the now closed Domku. Nathan Hill of Petworth based Nh.d studio has designed artwork for the fair for 8 years. In 2014, Julie Wineinger, the owner of Willow took over organizing duties and expanded the fair to include a music and food lot behind Petworth Citizen. "The Craft fair is my absolute favorite day of the year on Upshur Street," said Julie. "The Petworth community is incredibly supportive and we have such a fun time hanging out with neighbors while supporting some fabulous artisans." The 3rd Annual Kid's Fair will be held CrossFit Petworth and feature lots of great activities for the kids! As is the tradition, the Petworth Public Library will host its annual book sale the same day.